Dubbed the “Lone Star State”, Texas boasts of approximately 1,000 golf courses scattered all over the state. It is among the most prolific golfing hotbeds in the entire country, following in the footsteps of recognized golf havens like Florida, Michigan, and California. The Lone Star State has also made quite a name for itself hosting numerous prestigious golf events over the years, such as the historic 17th Ryder Cup and the U.S. Open in 1967 and 1969 respectively. With such a naturally diverse landscape comprised of coastal plains, swamps and marshlands, forested hills, mountains, canyons, and rivers, it's no wonder some of the nation's most prized courses were built here. Home to a number of award-winning, nationally recognized championship courses, Texas flaunts beauties like the Pine Dunes, Black Jack's Crossing, Butterfield Trail, the Old American, The Rawls Course, and many more tucked under its belt. Arid in the western regions and humid in the east, the weather in Texas is highly unpredictable, however, making it difficult to enjoy a round of golf on some days. Thankfully, the state offers an alternative on such occasions: virtual indoor golf. With numerous top-quality facilities that are equipped with high-tech simulators and software, golfers can be transported to select famous courses worldwide and experience the game as vividly as if you were still playing from the actual courses themselves. 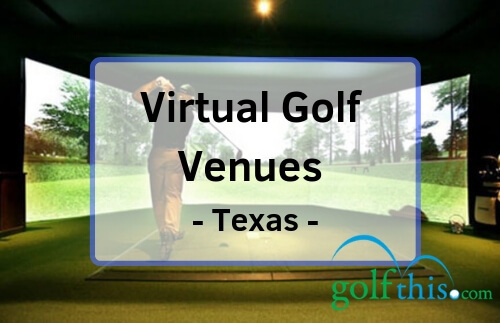 Below is a list of some of the finest virtual indoor golf facilities in the state of Texas. Situated in eastern Houston, GolfSmart Indoor Golf Training Center was established in 2000 and is the city's largest indoor golf and training facility, measuring up to 7,000 square feet. Equipped with an expansive virtual putting and chipping green, 12 hitting bays, a golf fitness area, and the most advanced simulator technology available, GolfSmart can help golfers of any skill level improve their scores in no time. The V1 software programmed in the simulators comes with slow-motion swing cameras to capture your movement, using Trackman, and analyze the statistics to provide relevant information (such as ball speed, dynamic loft angle, etc.) that can definitely help you fine-tune your game. Professional instruction and private lessons are also available, as GolfSmart has four certified teaching pros on-site. You will be given a personalized lesson plan that will cater to your current skill set and desired objectives. These often include applicable drills and exercises to correct any faults, improve your swing fundamentals. You will also be encouraged to join some friendly competitions which they regularly organize. Lessons are by appointment only. Make sure to inquire about the different discount packages that they offer. With photo-realistic 3D graphics, a driving range setting, and various play modes available, golfers can enjoy a few rounds of golf at Swing Zone Golf no matter what the weather is outside. Whether you're a novice looking to improve your game or a casual player simply looking to kick back and relax, Swing Zone Golf is the perfect choice for you as their top-notch indoor facilities perfectly combine learning and playing with a hearty dose of fun. Players are promised the full gaming experience, from the first drive to the last putt, with their wide selection of 160 championship courses from all over the globe, like Scotland's St. Andrews and the Pebble Beach Golf Links of California. With GOLFZON Vision simulators (Golf Digest's Editor's Choice for best Golf Simulator for 2017 & 2018), the task is easy and play conditions (such as wind, weather, tee height, and location) can be altered as you please. The Swing Platforms also simulate rough, bunker hitting surfaces, and fairways with 8-way directional tilt for slopes and uneven lies for both left and right-handed players. A single bay can accommodate up to 6 players so you can enjoy a game with your friends. You may even set the simulator on play mode to engage in some friendly competition. There are 7 different play modes, including Stroke, Match, and Foursome. Programs include memberships (with discounted rates and other benefits), summer camps and leagues for junior golfers, climate-controlled private bays with large-screen TVs where you can watch live sports games, and an on-site bar that serves appetizers, sandwiches, and alcoholic beverages. 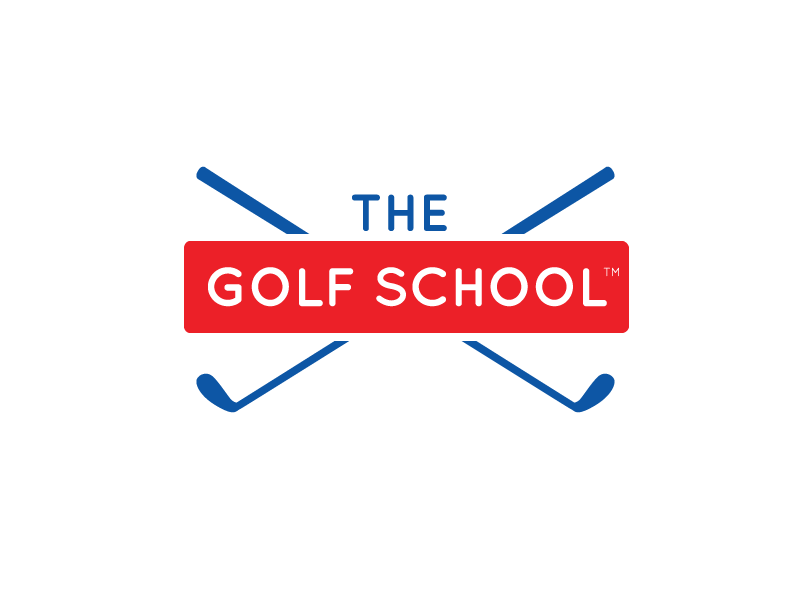 The Golf School, as the name suggests, is an indoor golf instruction and practice facility based in Austin, Texas. Family-friendly and welcoming to golfers of all skill levels and ages, they offer private lessons and expert coaching helmed by a team of five PGA Professionals. Equipped with one of the most advanced launch monitors and simulator technology available today, players can sharpen their skills during the off-season and improve their skills further here. They offer a free half-hour assessment on your initial visit. Refining your game has never been as easy as it is at The Golf School. Private events, fundraisers, and even children's parties can also be held here, as there are events spaces and rooms available for rent as well. Next on our list is GOLFTEC North Dallas, an excellent choice for golfers residing within the Dallas-Fort Worth metropolitan area who are looking to shave a few strokes from their usual round, or those who simply wish to enjoy a few rounds of indoor golf every now and again. A world-class training center and indoor golf facility, GOLFTEC offers their patrons private lessons and professional instruction with any of their four certified personal golf coaches on duty; all with years of experience and training under their belts. Welcoming to a wide spectrum of players – from the casual players, to the most-competitive golfers, and even to beginners – GOLFTEC makes sure that game plans for improvement are tailor-made for each student, accommodating their personal goals, skill level, schedule, and the desired number of lessons. Aside from simulated rounds on the virtual course, there’s also an initial swing evaluation, video-based practice, on-course lessons, and training on your short game and putting. They also have TECFIT, the facility’s very own custom club fitting done by certified professionals, to craft precision-matched clubs made especially for your needs and requirements. All the player data and game logistics gathered from every stroke and every round played at GOLFTEC can be delivered right at your fingertips, thanks to their online play performance center and GOLFTEC TO GO app. You will be granted 24/7 access to all your previous lessons, instructor’s notes, and recommended practice drills so you can practice and improve wherever you go and whenever you want. Continuing on with the trend, Swanson Golf Center is another indoor golf facility that’s better known for its practice and training prowess rather than its leisurely, recreational games of virtual golf. Swanson Golf Center was recognized as the no. 1 practice facility in all of Houston, with the owner and operator Mark Swanson named as one of Golf Digest's Top 5 Golf Instructors in the city, Top 20 in the state, and Top 100 Club Fitters in the country for six consecutive years. Home to Matt Swanson's School of Golf, the Swanson Golf Center features a premier teaching facility and launch monitors programmed with a user-friendly TrackMan technology interface to deliver precise data and display actual 3D club trajectory in real-time. Aside from the golf school on weekends, Swanson Golf Center also offers top-quality one-on-one lessons with any of the multiple PGA Professional instructors on duty. Group lessons, playing lessons, weekly instructional clinics, and junior golf programs are also available to those who are interested. Guests can also enjoy the custom fitting centers on-site and purchase a new set of top-of-the-line golf clubs perfectly tailored to their personal taste, take a leisurely boat ride and fish at their fishing pond, or order a delicious meal at Swanny's Bar & Grill. There's a banquet room and two semi-private indoor rooms that can be rented for private events as well. A unique entry on this list, the Golf Center of Arlington is a practice facility with both indoor and outdoor options for your golfing pleasure. When the weather is fine, you can enjoy the all-grass driving range and newly remodeled 36-hole miniature golf course outside. When rain, storms, scorching heat, or winter weather become too much for you, however, you can head inside for a few rounds of virtual golf at their indoor practice facilities. All bays are well-covered and heated, equipped with ProTracer technology to analyze a golfer's shot distance, accuracy, and trajectory to refine your game. Private lessons are also available, with a team of certified instructors on duty seven days a week. Golf Center of Arlington also provides professional putter fitting and club repair services. All in all, this golf complex is well worth the visit if you are in the area and looking for a fun time teeing off either indoors or outdoors, regardless of the weather. Established in 2015, XGolf Abilene is one of the newest indoor golf facilities in Texas. It has since gone on to make quite a name for itself as a steadily growing sports franchise with several branches nationwide. With golf simulators featuring high-speed cameras, infrared lasers, and advanced optical and impact sensors, XGolf Abilene boasts of state-of-the-art technology to guarantee a seamless virtual golf experience. The simulators will transport you to some of the most iconic golf courses from all over the world without having to worry about outdoor playing conditions. They have a total of five simulator bays, each with a large private room with leather seats and a high-definition flat screen TV. One bay can accommodate up to 4 players at a time so you can engage in some friendly competition. You can also get information about important data such as the motion of the ball, the movement of the club, and the shot angle, trajectory, and velocity to further improve and refine your technique. Private lessons with professional coaches are also available at XGolf, with each lesson lasting from 30-60 minutes. They also offer food and beverage and can be rented out for special events, corporate outings, private tournaments, or other special occasions. You may also be interested to sign up for the local X-League. XGolf Abilene is an excellent indoor golf facility that caters to the needs of players looking to improve their skills during the off-season, and those simply looking to relax with a few rounds, regardless of the weather or time of the year. Yet another brand with multiple branches nationwide (there are ten in the state of Texas alone), TopGolf sets itself apart from the competition by perfectly combining the sports of bowling, darts, and golf with delectable food, top-notch services, and other recreational activities. With an upscale guest lounge, a full-service restaurant and bar, and an outdoor patio complete with fire pits, TopGolf Dallas is more of an entertainment venue than just a simple indoor golf facility. It boasts of up to 74 high-tech hitting bays for virtual golf, all set up in climate-controlled private rooms, as well as three 18-hole mini golf courses and an outdoor driving range with batting cages. Optimal Golf Performance is an upscale golf training studio located right at the heart of the state's largest city, Houston. They have highly sophisticated virtual golf simulators, each with a launch monitor, dual-radar Trackman 4 software with instant feedback, pressure-sensitive mats and plates, a ball-tracking radar, 3D full-body motion capture, and a high-definition slow-motion video replay. Technology usually reserved only for tour professionals are now at your disposal, and you can play and practice on simulators personally vouched for by the likes of Rory McIlroy, Jordan Spieth, and Jason Day. Here at Optimal Golf Performance, the hitting bays and indoor facilities can bring you just that – virtual golf at its very finest. When you know your swing's attack angle, face angle, club head speed, and so much more in real time, you can start to understand and correct the mistakes you're making with every swing and you’ll be well on way to truly improving and advance as a golfer. An expansive facility that measures up to 2,100 square feet, the facility is also a popular event venue because of their lounge areas which can be rented for group events, corporate outings, and private parties. Strategically placed in southwest Fort Worth, 1611 Indoor Golf Club is an easily accessible virtual golf facility where casual golfers and competitive professionals alike can train and play no matter the weather. With the most cutting-edge technology today, patrons of 1611 Indoor Golf Club can expect an ultra-realistic golf simulation from either one of their 6 hitting bays and choose from among the 15 popular championship courses that they have on the menu. Thanks to Trackman and K-Vest software, thorough video and swing analysis can be delivered right to your fingertips so you can learn and improve with every single shot. There are also 2 deluxe hitting bays in larger private rooms with 16-inch flat screens and the latest in Trackman tech, the Trackman 4. Aside from these, you can also improve your skills further with the help of professionally certified instructors as 1611 Indoor Golf Club also offers private lessons, group training sessions, golf camps, and clinics to all. With the help of advanced technology and player statistics, instructors can apply specific drills and exercises to advance the golfer at an even more rapid pace. Lessons could include practice on the course, on the driving range, putting, and personal swing analysis. Private lessons are scheduled on a first-come, first-serve basis, directly with the coach you wish to train with, and often touch upon the fundamentals of the game, development of more advanced skills, and fault corrections in a player's swing. 1611 Indoor Golf Club also hosts a number of golf leagues and summer camps for junior golfers from the ages of 5 and up. Other amenities include an indoor putting area, a workout area, and a guest lounge with a large viewing platform for live-streaming various sports events. At Pure Swing Golf, players can hone and sharpen their skills even during the off-season with the latest golf simulation technology available, and enjoy an immersive, realistic golf experience at this premier indoor training studio. At Pure Swing Golf, the facilities are all climate-controlled to counter whatever the outdoor weather and conditions may be. Using the most accurate launch monitor on the market, the GC Quad, every shot can be measured and assessed in terms of attack angle, club path, ball speed, spin rate, swing direction, and so much more. The four high-speed cameras on every hitting bay also capture the strokes and play it back in real-time with instant feedback, while the Swing Catalyst pressure plates allow golfers to putt on sloped putting greens and further authenticate the already life-like game of virtual golf simulated by the TrackMan 4 software. For those seriously looking to advance their game, Pure Swing Golf also offers professional instruction and private lessons from experienced golfers who can coach you on your technique, course management, and even your personal mindset as a player. All clients will have a personalized coaching plan aimed at yielding long-term improvement that's compatible with their specific background and proficiency level. Other amenities include club fitting, club re-gripping, and clubs for sale at their golf shop. One of the undisputed great golf destinations in the country, avid golfers from far and wide have always flocked to Texas to experience its exquisite assortment of championship courses, further enhanced by the varied topography that creates some truly spectacular layouts with equal parts beauty and difficulty. However, even with more than a thousand golf courses to choose from, the erratic Texas weather might make it difficult to enjoy the great outdoors on certain occasions. Fortunately, the state also offers a vast array of indoor golf facilities to remedy the situation. Whether you're a travelling golfer disappointed by the uncooperative playing conditions or simply a player looking to satisfy your golfing fix during the off-season, Texas has plenty of good things in store for you in terms of virtual golf centers. The names featured above are just a few of the many, popular choices available in the state. This is not meant to be a definitive list but merely an accessible guide to help you on your search. Knowing Texas to be the golf-loving state that it is, there's sure to be plenty more up its sleeve that’s just waiting to be discovered.